We all wish to play host to our family and friends during the Easter or Christmas or other festivals we celebrate. Is the number of people visiting your home during the holiday season or just for a chat is long? You never know when your loved ones may suddenly plan to come to your home and surprise you. 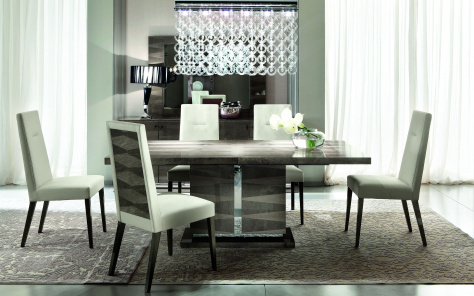 There many reasons to spruce up your dining space. 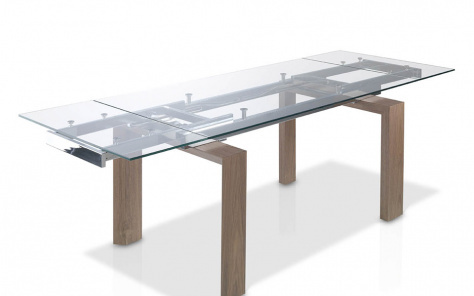 We offer a wide range of modern extending dining tables from the UK famous for their versatility and fashionable looks. Our contemporary dining tables are extendable to accommodate as many eight to ten guests in addition to your family members. Having an excellent extending table in place serves for daily use as well when the occasion calls for entertaining your loved ones. 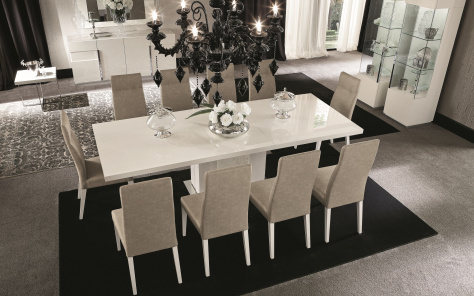 Our range of luxury and contemporary Italian dining tables complement every style and look. 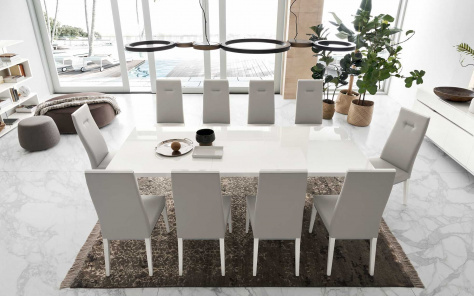 Whether you prefer a modern home decor or wish to opt for a homely traditional interior, the extending mechanism in our extensive range of dining tables ensure a chic look in addition to serving its purpose. 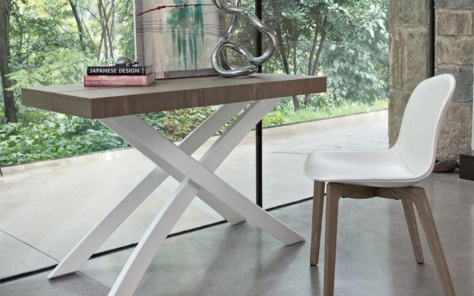 Both the table top and the extending leaves are fitted seamlessly to aid easy storage of the leaves within the table. Moreover, some of our designs allow you to extend in two stages, giving you more flexibility than ever before. 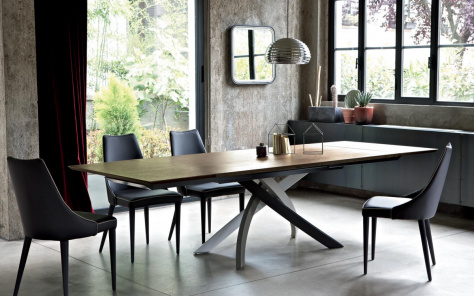 The smooth flexibility thus allows easy extension of our dining tables and is an essential feature that one simply cannot miss. 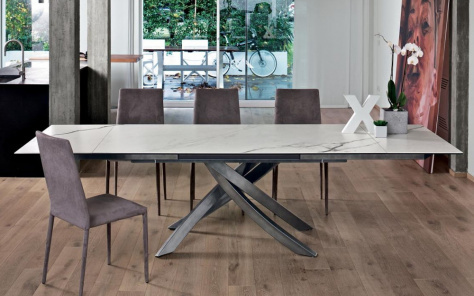 Shop from our exclusive and extensive range of modern extendable dining tables so that you can serve the occasional dinner party without cluttering your home space. With so much functionality in place and looks that can kill, you should not miss the opportunity of browsing through our website. 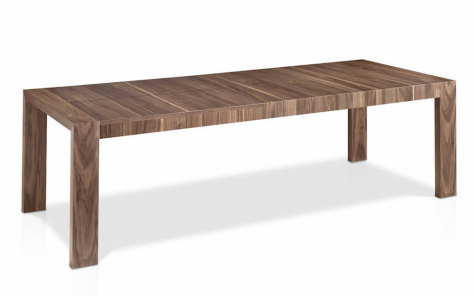 You can choose from our broad variety of dining tables that come in various shades and designs. 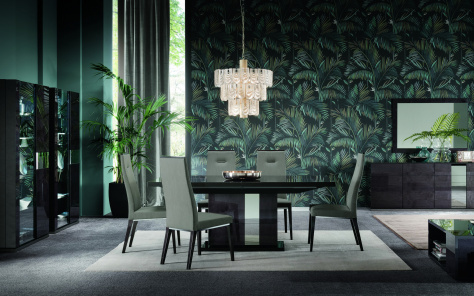 You may also pull yourselves into our showrooms to view our eclectic collection of dining tables of glass, wood and other materials and order the one that suits your aesthetic style and sense. The dining table is one of the most important pieces of furniture in any house and we have a wonderful collection for you to choose from. Whether you’re looking for the finest craftsmanship in wood, marble, ceramic or glass we have something to suit you. Designed and manufactured by the best designers and most skilled artisans around the world.